This article about Consolidated Claims Group originally appeared on Charlotte Agenda and was written by Ted Williams. CCG (Consolidated Claims Group) is a tech-enabled service company that evaluates complex claims for some of the biggest insurance carriers in the nation. They’re growing, fast. The Charlotte-based company was founded in 2011 by Damon Stafford and Matt Livingston and has become a leading provider in their industry. I love businesses that fill a specific need like this. 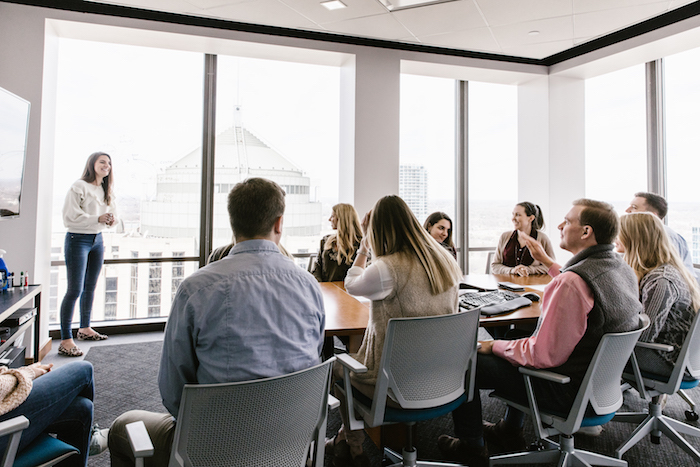 Their team is growing so fast that they recently moved their HQ into Uptown — a full-floor renovation inside Bank of America Plaza at 101 South Tryon. 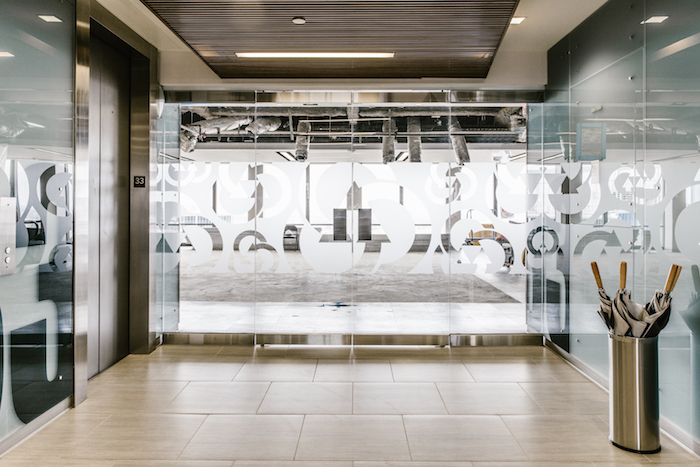 In the last 45 days, CCG has acquired their largest competitor (Donan HVAC Forensics Division) and moved to their new HQ to accommodate their growth. They’ve already hired almost 50 people this year, and expect to have over 150 employees by 2020. What does CCG actually do? CCG provides damage assessments for specialty and complex claims on behalf of insurance carriers across the United States. It’s a critical part of the insurance business and CCG has emerged as a nationwide player. Basically, they bring clarity to complex insurance claims, helping insurance adjusters make better decisions. What are popular roles at CCG and what do they look for in candidates? Project Coordinators. Ideal candidate: Strong communication skills, problem solving skills, self-motivated, ability to multi-task and thrive in a very fast paced environment. Technical Writers. Ideal candidate: Degree in writing/communication/technical writing, strong communication skills, technically minded, appreciation for how mechanical things work, and the ability to communicate it in such a way that non-technical people can understand it. Account Managers. Ideal candidate: Strong interpersonal skills, natural educators (they educate CCG’s clients on their services), communication skills, and experience in a technical services industry if possible. Enterprise Sales. Ideal candidate: Strong interpersonal skills, communication skills and relationship building skills. CCG also looks for experience and success selling business services and experience in the insurance industry. You can view all current job openings here. Paid vacation and holidays (2 weeks PTO in your first two years and 3 weeks PTO after that). Option for 4-day work weeks. They prefer to promote from within, giving their employees tons of opportunity for growth. 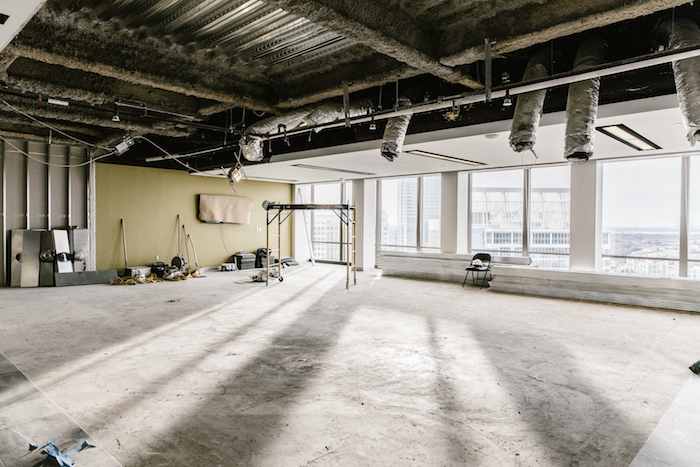 CCG HQ is in the midst of major renovations. This will be a huge common space for team members to learn, hang out and meet. Do you have to be passionate about insurance? 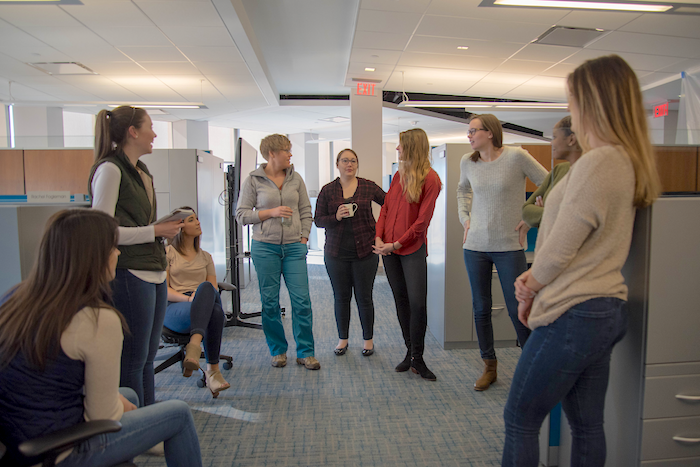 “We don’t expect people to be passionate about insurance or HVAC equipment, but people who are genuinely interested in how we do what we do and can get on board with that, those candidates really stand out,” said Paulina Sirgo, an Internal Recruiting Manager at CCG. CCG is a young company, so they’re constantly implementing new processes and procedures to improve — so it’s helpful if you’re entrepreneurial. This means that they’re looking for directed candidates that are enthusiastic about building a business and culture. What does CCG look for in the resume screen and interview process? On your resume, CCG will generally look for stability in work history, customer service experience and concise description of job duties and accomplishments. During the interview, expect basic questions like, “Tell me about yourself,” “What do you know about CCG?” and “Why are you interested in CCG?” Candidates should also be prepared for behavioral interview questions (ex: “Tell me about a specific time when…”) and questions that evaluate problem solving abilities. In general, candidates that often receive offers have strong interpersonal skills, enthusiasm and natural communication skills. All photos by Laura Sumrak.